WrestleMania 35 is officially in the books. Becky Lynch, Ronda Rousey, and Charlotte Flair competed in a Winner Take All Match in the main event, and it was the Lynch who won to become the Raw and SmackDown Women’s Champion. 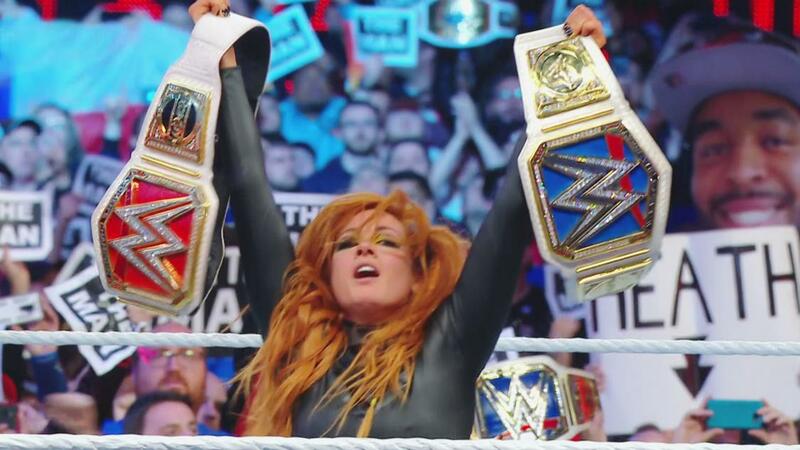 Becky Lynch is the first woman to hold both titles concurrently. In this historic triple threat match, all three women gave their all to put on a showstopping match. It’s unclear what this means for the women’s division moving forward. Some sources say WWE will unify the titles. It’s also possible that someone will step up to take one of the respective titles back to their brand. No matter what happens next, this match and finish will have major implications throughout the year. Check back with Diva Dirt for more news spinning out of WrestleMania weekend. Drop a comment below with your thoughts on the match and what this all could mean.